Talkin’ Terrebonne is a locally run parish government TV show created to inform, enlighten, and educate residents of all the great things offered through various departments of Terrebonne Parish Consolidated Government. Our segments feature various departments of TPCG focusing on departmental impact within the Parish, informing and educating residents about programs and services available through these departments as well as other areas of general interest to the community. The focus of our show is to create a better understanding of Terrebonne Parish and promote awareness among residents. Viewing 1 to 8 of 8 results. Description: On the 7th episode of Talkin' Terrebonne with visit the New Terrebonne Parish Animal Shelter. We talk to Shelter Manager, Valerie Robinson about the New Animal Shelter located in Gray Louisiana and all of the services offered by the Terrebonne Parish Animal Shelter. Description: On this sixth episode of Talkin' Terrebonne, we talk to Anne Picou and Christopher Pulaski about the Main Street Program, the Christmas Parade/Festival, and improvements to the Downtown Area. We also talk to Jonathan Foret about the award winning Rougarou Fest. Description: On this Episode of Talkin' Terrebonne, we talk to Melanie VanBuren with Human Services about the Rental and Utility Assistance Programs offered to residents by the Human Services Divison. We also talk to Antoine Foret and Charile Howard with Section 8 about the Housing Choice Program. Description: On this special edition of Talkin' Terrebonne we talk with your Parish President, Gordon Dove. 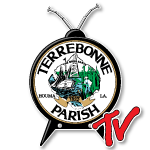 Description: On the fourth episode of Talkin' Terrebonne, we talk with TPCG Director of Recreation, Sterling Washington about Terrebone Recreation and the programs offered to residents. Description: On this third episode of Talkin' Terrebonne, We talk to Terrebonne Parish Office of Homeland Security and Emergency Preparedness Direcor Earl Eues and Hurricane Prep and what you should be doing now to prepare. Description: On this second episode of Talkin' Terrebonne, we will talk with Scott Belanger with the Houma-Terrebonne Civc Center about Kids Day 2016 being held on July 16th, 2016. Description: In our first episode of Talkin Terrebonne, we talked our Head Start Administrator, Diane Powell.